The healing powers of organic seed oil is legendary and timeless. Nothing is more soothing than naturally pressed organic seed oil especially when we chose the most powerful, healing, restorative and protective oils we could find. We combined Pomegranate seed, Cranberry seed, Pumpkin seed and Sunflower seed together to create this silky liquid gold. Click to see OIL. Each seed oil has a story and a history. The fruits these seeds are born in become abundant at the end of summer and reach their peak in the Fall. A true Winter blessing. 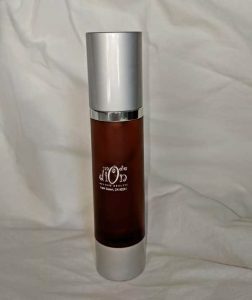 Organic Healing Facial Oil applies light and silky, absorbing quickly without leaving any heavy, oily feel. Incredibly versatile. To use: Apply to skin alone or mix into facial moisturizer for more hydration and to protect against elements. 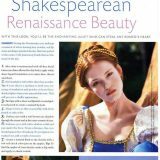 Facial skin comes alive as pigmentation lightens, wrinkles soften, firmness is restored with a soft radiance. Assists with troubled skin as well to soothe redness and other irritations. Use as hair oil onto ends or where ever dry or frizzy areas pop up. Not only will it control, protect and hydrate your hair it will create a beautiful shine. Massage oil into scalp to increase hair growth, protect follicles and proteins to slow premature hair loss. Use to heal and prevent scarring, as a cuticle oil or on rough heels. Mix in a few sprinkles of shimmer powder and use for body radiance. History: Pomegranate seed oil began it’s journey literally eons ago. Native to Persia the pomegranate is one of the oldest fruits on the planet. It was known as the nectar of the Gods. Its first journey was to China in 100 B.C. The pomegranate represents hope of life eternal. Some scholars believe it was the pomegranate and not the apple that was the forbidden fruit in the Garden of Eden. 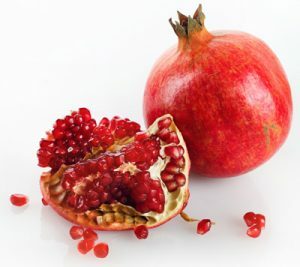 Throughout history, each part of the Pomegranate fruit served a purpose: the delicate flower was crushed to create a red dye; the peel was used to dye leather; and the “glittering,” “ruby” seeds were used not only for food but also to make oil for medicines, cosmetics, and anti-parasitic tonics. Known for oil: Fights against free radicals contains omega 5 fatty acid, which has strong anti-inflammatory properties. The oil fends off free radicals to slow skin ageing. Protects: Has a very high concentration of ellagic acid, an antioxidants that has been shown to help prevent skin cancer as well as preventing UV damage. Has the ability to slow wrinkle formation along with lighten and brighten the skin tone. Improves elasticity, collagen and cell production. 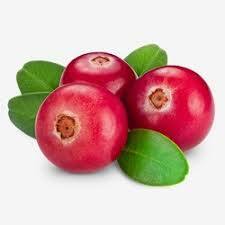 Hydrates: Omega 5 fatty acid present in pomegranate seeds deeply hydrates skin and prevents moisture loss. This fatty acid protects the skin from sun damage and fends off free radicals, reduces skin inflammation and aids in skin repair. Heals: Anti-microbial and wound healing properties provides hydration and soothing relief to people suffering from eczema, sunburn and psoriasis. Benefits for all skin types: All skin types can benefit from this oil. It absorbs deeply into the skin without leaving a greasy residue. It can be used by those with dry skin to help moisturize. 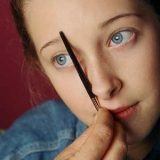 It also works well for those with oily skin, by aiding in skin regeneration. This oil does not clog pores. Pomegranate oil promotes regeneration of the epidermis. This helps skin retain its youthful appearance by creating new skin cells. History: The Cranberry is native to the northern part of the USA and Canada. 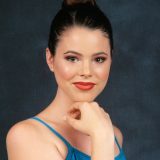 The name was given by the first European Settlers. As the flowers in the wind look like a crane they were named crane berries which later was cut down to Cranberries. For native Americans Cranberries were medicine and food at the same time. They were used to heal wounds and to ease pain. 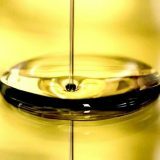 Known for oil: The only oil known to have a balanced ratio of fatty acids which helps it sink deep into the skin where it can do the most good. Very hydrating: Known for the perfect ratio of omega-3 to omega-6 fatty acids makes this nutrient rich oil able to penetrate deep and absorb into your skin better than most oils. Rich in vitamin E to super hydrate diminish wrinkles and softens lines. Rich in Antioxidants: Protects from environmental stress and sun damage, increases collagen to firm skin. Repairs damaged skin. Natural brightener: A natural sunscreen and helps reduce the appearance of age spots and uneven skin tone. Brightens and creates radiance. Repairs Skin: Reduces inflammation, itchy and irritated skin. Has antibacterial, anti-fungal and antiseptic properties. 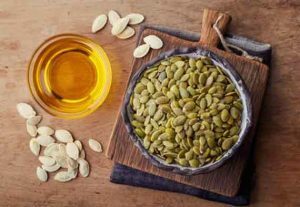 History: Pumpkin seed Oil, also called “The Green Gold” has an old history which originates from Middle America and is mainly in Mexico a culture plant for thousands of years. Pumpkin seeds, also called “Pepitas” were actually discovered by archaeologists in caves in Mexico that date back to 7,000 B.C. The pumpkin is really a fruit rather than a vegetable. Known for oil: Rich in vitamin E, zinc, omega 3- and 6- fatty acids as well as antioxidants to retain moisture, fight free radicals and maintain a youthful appearance. Increases firmness: Nutrients in pumpkin seeds, in particular zinc and vitamin C, help firm and tighten skin. Oily skin balance: Zinc along with natural selenium helps oily skin maintain moisture, control inflammation and excess oil as well as boost the immune function helping to heal and prevent breakouts. Antioxidant rich: A rich source of vitamin E, which is a potent antioxidant, pumpkin seed oil protects skin from environmental stressors which breaks down the skins collagen creating loss of elasticity. More firmness and a slows aging. Deeply moisturizes: Essential fatty acids sink deep into skin for long-lasting hydration. These acids also help balance oil, moisturizing dry skin and controlling oily skin. Soothes: Natural properties of pumpkin seed work great with sensitive skin to calm redness and heal damaged skin..
History: The Sunflower was a common crop among American Indian tribes throughout North America and cultivated by American Indians in present-day Arizona and New Mexico about 3000 BC. Some archaeologists suggest that sunflower may have been domesticated before corn. The oil was used for cooking and its healing properties. Known for Oil: This powerful oil smooths skin by reducing redness and roughness for the most glowing healthy skin. Repairs: Anti-inflammatory to help lower skin inflammation, redness and roughness. High in omega-6 fatty acid to decrease inflammation and enhance the development of new skin cells for a younger appearance. Helps remove dead cells and impurities, leaving behind smooth, moisturized skin. Holds Moisture: Emollient properties help the skin retain its moisture. High in vitamin E to help trap moisture inside skin cells, keeping skin hydrated for a longer period. Protects: vitamin E is a powerful antioxidant that helps protect skin cells from harmful UV rays from the sun and other environmental stressors. 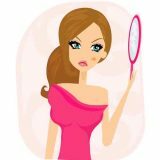 High in beta-carotene to improve appearance and health of skin. Fights Acne: In addition to vitamin E, sunflower oil is also rich in vitamins A, C, and D, making it effective in the treatment of acne. 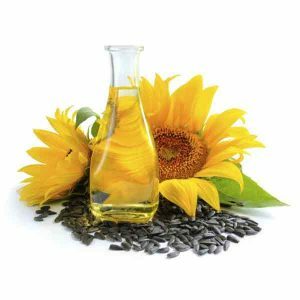 Sunflower seed oil contains vitamins and fatty acids that act as antioxidants to regenerate new skin cells and help your skin rid itself of acne-causing bacteria. De-Ages:The antioxidant properties of sunflower oil help in preventing premature signs of aging, as it helps protect the skin from exposure to sunlight. The vitamin E in sunflower seed oil can help protect the collagen and elastin in the skin and reduce the appearance of fine lines and wrinkles in your face. Natural calming properties improve skin’s moisture retention capacity. Very beneficial for individuals with dehydrated or sensitive skin. Discover the miracle of our Natural Organic Healing Facial Oil HERE!